Many atheists and agnostics today insistently argue that it is altogether possible for non-believers in God to be morally upright. They resent the implication that the denial of God will lead inevitably to complete ethical relativism or nihilism. And they are quick to point out examples of non-religious people who are models of kindness, compassion, justice, etc. In point of fact, a recent article has proposed that non-believers are actually, on average, more morally praiseworthy than religious people. In this context, I recall Christopher Hitchens remark that, all things considered, he would be more frightened of a group of people coming from a religious meeting than a group coming from a rock concert or home from a night on the town. God knows (pun intended) that during the last twenty years we’ve seen plenty of evidence from around the world of the godly behaving very badly indeed. Though I could quarrel with a number of elements within this construal of things, I would actually gladly concede the major point that it is altogether possible for atheists and agnostics to be morally good. The classical Greek and Roman formulators of the theory of the virtues were certainly not believers in the Biblical God, and many of their neo-pagan successors today do indeed exhibit fine moral qualities. What I should like to do, however, is to use this controversy as a springboard to make a larger point, namely that Christianity is not primarily about ethics, about “being a nice person” or, to use Flannery O’Connor’s wry formula, “having a heart of gold.” The moment Christians grant that Christianity’s ultimate purpose is to make us ethically better people, they cannot convincingly defend against the insinuation that, if some other system makes human beings just as good or better, Christianity has lost its raison d’etre. Much of the confusion on this score can be traced to the influence of Immanuel Kant, especially his seminal text Religion Within the Limits of Reason Alone. Like so many of his Enlightenment era confreres, Kant was impatient with the claims of the revealed religions. He saw them as unverifiable and finally irrational assertions that could be defended, not through reason, but only through violence. Do you see how much of the “New Atheism” of the post-September 11th era is conditioned by a similar suspicion? Accordingly, he argued that, at its best, religion is not about dogma or doctrine or liturgy but about ethics. In the measure that the Scriptures, prayer, and belief make one morally good, they are admissible, but in the measure that they lead to moral corruption, they should be dispensed with. 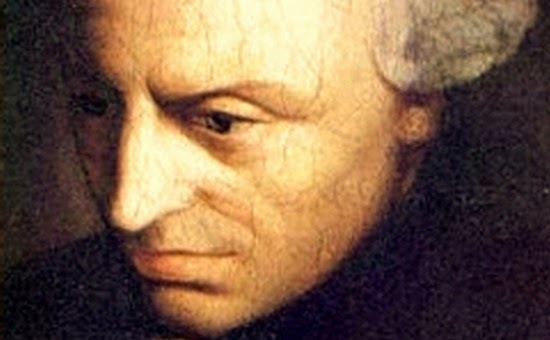 As religious people mature, Kant felt, they would naturally let those relatively extrinsic practices and convictions fall to the side and would embrace the ethical core of their belief systems. Kant’s army of disciples today include such figures as John Shelby Spong, John Dominic Crossan, James Carroll, Bart Ehrman, and the late Marcus Borg, all of whom think that Christianity ought to be de-supernaturalized and re-presented as essentially a program of inclusion and social justice. The inaugural speech of Jesus, as reported in the Gospel of Mark, commences with the announcement of the kingdom of God and then the exhortation to “repent and believe the good news.” We tend automatically to interpret repentance as a summons to moral conversion, but the Greek word that Mark employs is metanoiete, which means literally, “go beyond the mind you have.” On Mark’s telling, Jesus is urging his listeners to change their way of thinking so as to see the new world that is coming into existence. It is indeed the case that Buddhists, Hindus, Christians, Muslims, Jews, atheists, and agnostics can all be “good people.” In terms of what we privilege today, they can all be tolerant, inclusive, and just. But only Christians witness to an earthquake that has shaken the foundations of the world and turned every expectation upside down. A key to the new evangelization is the rediscovery of this revolutionary message. Father Robert Barron is the founder of the global ministry, Word on Fire, and the Rector/President of Mundelein Seminary. He is the creator of the award winning documentary series, "Catholicism" and "Catholicism:The New Evangelization." Learn more at www.WordonFire.org. But Father, if we can reasonably believe that there are no people in Hell then why should we beleive in objective Truth? So are you saying: "since there is (seemingly) no punishment for NOT believing in objective truth, why do it?" I would also argue that the best of them cannot remotely stand up to the best of us. They have no one that even approaches the Saints in goodness. They can't even explain the Saints since they defy their notion of false altruism. That is why Hitchens creates a completely false narrative about Mother Theresa. They HAVE to tear her down, even with lies, because she is a towering figure that defies everything they believe is possible. And also, we have no one that compares to the worst of them! We have no Stalins or Pol Pots. So what do they try to do? Play semantics - Stalin was really like a religious person the way he led. They lose on these two grounds every time and it kills them. We are not called to be only "good" and "moral", as Christians the One True God calls us to be Holy, even as He is Holy. We aren’t called to be ‘good’. “You, therefore, must be perfect, as your heavenly Father is perfect.” (Matt 5:48) “….all have sinned and fall short of the glory of God” (Rom 3:23) and “Though a righteous man falls seven times, he will get up, but the wicked will stumble into ruin.” (Prov 24:16) What is this ‘good’ anyway? How do the atheists measure up on things like humility, patience, bearing wrongs gladly? All of us share in the consequences of original sin. All of us need grace to be disciples of Christ. But Catholics have the fullest means of grace. Should that not count for something? But, yes, Christianity is not primarily a moral code. It is first and foremost about a personal relationship with Jesus Christ, our Lord and Saviour. I have to disagree that atheists and devout Christians are equally morally upright. Two reasons. (1) Yes, secularists can be morally upright, but look across the percentage of morally upright. Religiuos people by far donate their time and money at a higher rate than secularists. (2) The definition of morally upright changes for secularists over time to satisfy their sensibilities. Just look at abortion. How many secularists support abortion, one of the gravest evils I can imagine. The secular defining of abortion as being morally acceptable changed over time. Secularists do this continuously within the culture. They always define what is upright based on their own current definitions.